The Boss is officially off the market. 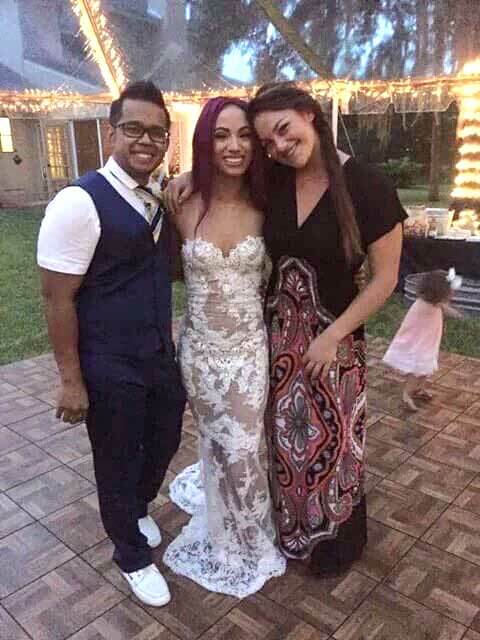 WWE Women’s Champion Sasha Banks got married over the weekend to WWE seamster and costume designer Mikaze (Sarath Ton). Prior to working for WWE full time behind the scenes, Ton wrestled on the independent scene as Kid Mikaze. He even wrestled a squash match against Ryback as “Rutherford Hayes” (above). He’s made several cameos on Xavier Woods’ UpUpDownDown Youtube series. 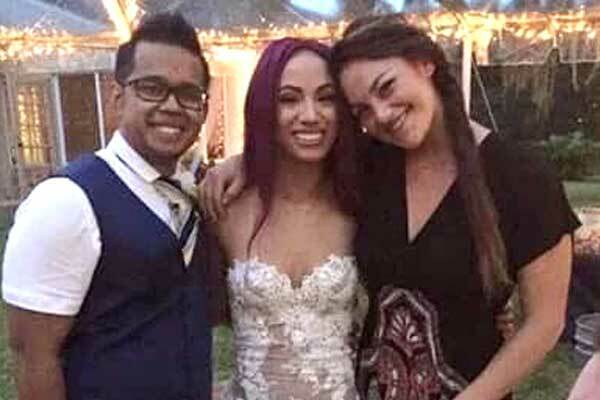 The following photo from the couple’s wedding has been circulating online today – congratulations to the newlywed couple!